I have been reflecting often lately about current world events and through wanting to remain open and energised despite the appearance of things I have found myself finding much strength in being grateful for my garden. For what it represents, its potential and its stand for the things I believe in. If a change has not already come to the world through the natural disasters of the past few months and now the man-made hell of un-checked radiation in Japanese nuclear reactors then I only anticipate a great change is around the corner. I have been very tired lately, but I have kept making what progress I can towards the vision I have for the garden. Gradually I am also making way for a seed collecting and drying area under the house. 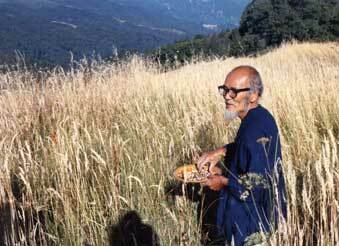 Also, in my curiosity for some saneness in this mixed up world at the moment I did have to check exactly where in Japan Masanobu Fukuoka’s farm is and I was very grateful to discover it is one of the southern islands and I would think it still remains. I had this initial thought that it would be an even greater disaster for the world and Japan to find that his farm had been taken in the tsunami. But then, these things all happen for a reason.